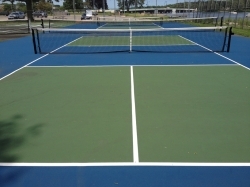 Join us to have some fun playing Pickleball, even if it is your 1st time. Whitey Gilbertson has been playing Pickleball for quite some time and really enjoys the game. Whitey would be happy to teach those of us who have never played. If you want to simply watch the game don't hesitate to stop by. You will have to come to the court from the north, as the 4th street bridge is still under construction and is closed from the south. The Krueger course is in great shape. Some golf clubs are available for rental if you are unable to bring your own. Please arrive for checkin at 8:30. Tee Time begins at 9:00 AM. We should be completed about 1:00 PM which will allow us plenty of time to get ready for our evening reunion to be held at Domenico's. The Cash Bar will be open from 5:00 PM - 6:00PM with the Dinner beginning at 6:00 PM. It's hard to believe that it's been 55 years since our graduation in 1962. We are expecting 105 guests. There will be no formal program following dinner which will allow us to mingle and visit. Join us for breakfast Sunday morning for one final reunion weekend get together. We have reserved table space for breakfast beginning at 8:30 AM. A breakfast buffet will be available along with the normal breakfast menu. 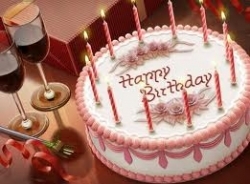 We're all looking forward to our 70th Birthday Celebration! Please don't hesitate to contact us if you have any questions. When: August 24, 2014 at 8:30 A.M. - ???? Join us for breakfast Sunday morning for one final reunion weekend get together. We are planning to reserve table space at the Road Dawg Restaurant for breakfast beginning at 8:30 A.M. A breakfast buffet will be available along with the normal breakfast menu. If you think you might like to join us, please let us know by email or enter an RSVP on the website. When: 08/22/2014 at Tee Time 1:00 P.M. This event is planned for classmates who would like to golf 18 holes. The Krueger course has seen many improvements over the last several years . Major changes were completed in 2011 which included ponds on holes 1, 3 and 18 to make it more challenging. If you're interested in playing, when you register please note if you would like to form your own foursome or if you simply want to be assigned to a team. We would expect to befinished golfing between 5:30-6:00. 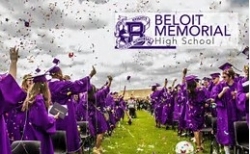 The planned social gathering in the clubhouse is scheduled to begin at 6:00 for those who would like to stick around and mingle with former classmates and friends. When: 08/23/2014 at Tee Time 1:00 P.M. This event is planned for classmates who would like to golf 18 holes. The Krueger course has seen many improvements over the last several years . Major changes were completed in 2011 which included ponds on holes 1, 3 and 18 to make it more challenging. If you're interested in playing, when you RSVP please note if you would like to form your own foursome or if you simply want to be assigned to a team. We would expect to befinished golfing between 5:00-6:00. The informal social gathering in the clubhouse will probably begin about 6:00 for those who would like to stick around and mingle with former classmates and friends. We're all very excited about the 50th Reunion! After the committee has fully developed the details, we will communicate the details to everyone in a letter along with a Reservation Form. Classmates will have the option to complete and return the Reservation Form by mail or to complete the Reservation Form online via our website. Ongoing communications after the letter will be via email and/or the website. Please don't hesitate to contact us if you have any questions, comments or suggestions. Our social gathering will be held in the clubhouse banquet area where classmates can catch up with one aother and reminisce about the "good old days". There will be a cash bar and grill available. 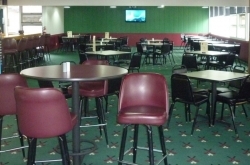 The Bump and Run Bar & Grill offers a fully stocked bar, a large selection of appetizers, a variety of sandwiches including burgers, fish and brat sandwiches and Daily Specials (often pulled pork or beef sandwiches are very popular). 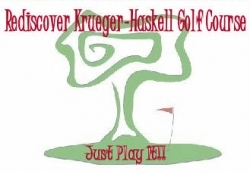 We anticipate that golfers and non-golfers will attend. 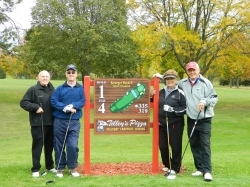 At our 45th Reunion in 2007 we held a very successful golf outing at the Red Barn Golf Course. We had a good turnout of golfers including men and women. 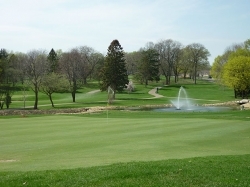 This course has 7 par 3's and 2 par 4's which should allow plenty of time to golf 9 holes and still get ready for the Reunion Celebration at the Beloit Country Club in the evening. If you haven't been through the school in several years, you would be pleasantly surprised with all of the improvements. These improvements include a much improved Library designed to address the changing information technology needs, a large 2nd Gym, a Swimming Pool, an Auto Machine Shop, a much improved Cafeteria and many others. We believe you would find this tour to be very interesting and informative. When: 10/07/2012 at 8:30 A.M. - ??? ?